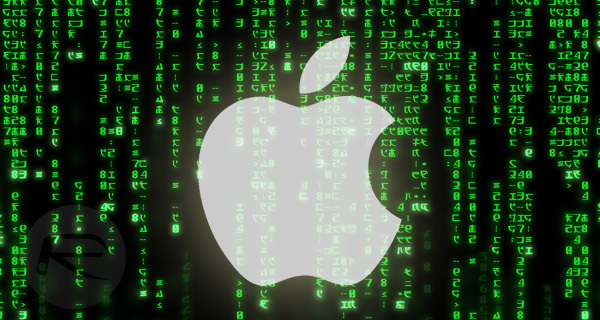 It has been revealed that Apple is holding a secret meeting with a host of carefully selected hackers from the jailbreak world and beyond in order to brief them about the imminent launch of the company’s bug bounty program. As previously discussed, Apple used the Black Hat Conference earlier this year to announce that it was introducing a program designed to reward hackers and security researchers for finding and reporting bug in iOS and macOS. The company has now invited what it believes to be some of the best hackers in the world to take part in an under wraps meeting, presumably to go through intricacies of the new bounty program prior to its official launch. Amongst those in attendance with Apple today are Luca Todesco, the first person to publicly showcase a working jailbreak for iPhone 7, Nicholas Allegra, who is better known by his online moniker Comex and was responsible for jailbreak solutions such as JailbreakMe, and Patrick Wardle, an ex-NSA employee who has been vocal about his lack of trust in the security within Apple’s desktop operating system. Apple clearly believes that these individuals, amongst others, have the abilities and desire to find critical, and therefore valuable, bugs in its iOS and macOS platforms. It is also being suggested that a number of additional names familiar to those in the jailbreak and hacking communities are also likely to be present in today’s meeting with Apple, including Pedro Vilaca, Alex Ionescu, Jonathan Zdziarski, Steven De Franco aka iH8sn0w, Francisco Alonso, and Stefan Esser aka i0n1c who cuts an extremely polarizing figure online due to his outspoken comments on all things security, jailbreak and Apple. There’s also a suggestion that Apple has asked Hao Xu, a current member of Pangu Team, to participate in today’s meeting with a view to providing information on bugs within iOS and the iPhone. There are apparently has some more people on the list, but over all it being suggested that Apple has kept it short and exclusive for now. As part of the new bug bounty program Apple is looking to provide cash rewards of up to $200,000 for information pertaining to critical vulnerabilities in the systems that power the iPhone, iPad and Mac range of computers. Rather than simply opening the program up to the masses in the first instance, it looks as though Apple is taken the route of inviting a select few individuals who have not only proven themselves to be capable, but who have also filed bug reports previously with the business, with the hope being that it can the bounty program up and running with actionable information. 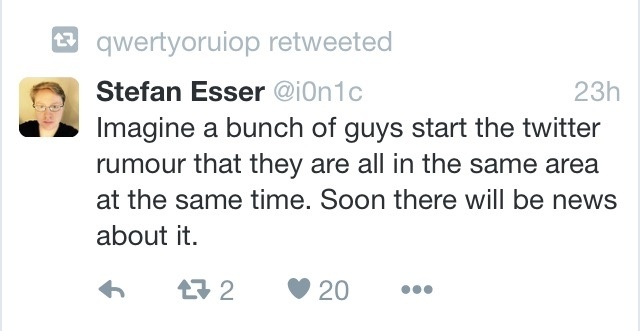 Now just how will this affect future public jailbreak releases is something we will have to wait and watch. This is really bad… i am afraid sooner or later jailbreak releases will become more scarce. I totally get it for macOS, but an iphone without jailbreak is a totally different phone. 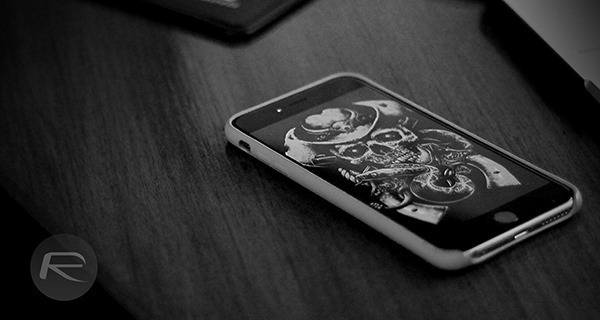 I talk for myself, i probably wouldn’t buy one, if i knew i was not able to jailbreak it. I am pretty sure a big part of iPhones users think the same. it might be a rumour, but it is a fact that Apple is aggressively addressing all the jailbreak vulnerabilities, so i could see it happening, unless of course, hackers would not be willing to collaborate. Unlike Android Apple really wants to control the apps running on the iphone. Apple was never an open company in regard to third party companies/softwares. they like to be in full control, and an example of that is the soldering of memories in macbooks or the unavailability of microSD on iPhones. Its also a fact that many old jialbreakers are not doing it anymore and some even now collaborate actively with apple. Its also a fact that some like Luca, are able to jailbreak but won’t release its jailbreaking tools. So what is the point to let the community know about that, unless he is seeking for attention for his capabilities. He could very well report the vulnerability to apple, without letting publicly know he managed to jailbreak a new iOS. I love apple, and its products, but i really dont like this approach of limiting/restricting users to upgrade or install whatever they want on their products. We may lose a few top tier guys, but as long as there’s demand, there will be solutions. If Apple were smart, they’d buy out Cydia and shut it down, along with Cydia Substrate and all of the other critical backbone software. It would take the JB community years to bounce back. Yup, I think I may switch to android. That would be the smartest move by Apple. Take those away, and jailbreaking would take a huge hit for a long time. Since Jail-breaking will probably be more rare which is why I will stick with iOS 9.3.2 semi-tether which is better than nothing. Um what? Android has more security holes than Swiss Cheese. Honestly Apple is losing it, iPhone 7 was a disappointment! And if you can’t jailbreak it then I don’t see a reason to stick to iPhone. I believe a lot of iPhone users will switch to android now. I think he’s referring to customization options, not security. It depends on the manufacturer and how they customize under the hood code. Big changes are from Samsung/Huawei and can expect the most security holes. Phones from blackberry and such are generally pretty good in terms of security. Reality check, only 0.0.0.0.0.0.1 of iOS users jailbreak. In the real world,people don’t know what a jailbreak is. You’re not the first to ever switch to a way inferior product. If Apple were to buy out Cydia and was only available through them,now there’s a concept! It’s a shame people accept money to help corporations be corrupt. Of course Apple wants you to be restricted into the environment they want you in because it gives them more chance to earn money from your face after you buy the device. But it’s also incredibly morally wrong. When you buy a t-shirt and take it home you expect to be able to draw on it if that’s what you choose to do because you bought it. It’s no different with a phone you buy. The only reason Apple dislikes it is because locking you into their services helps them generate more revenue. It would be a shame to see developers who love the chance to modify operating systems sell out and help assist Apple commit what should be a crime against freedom.